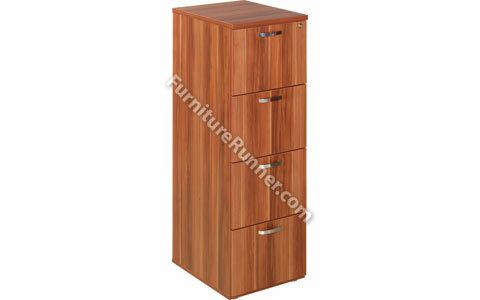 Avoir Filing Cabinets are fully lockable and anti-tilt. They will also accept foolscap size files. The drawers of all Wooden Filing Cabinets are approximately 5cm less than deep than a metal equivalent.